If your logo looks like a bad ‘80s movie or no longer reflects your evolving message, it is probably time to consider a rebrand. Another great catalyst for a rebrand is when your company launches a new product or service. Bringing your visual assets and messaging current can create an even more significant buzz around your brand. When you approach a rebranding effort as a business owner, your first thought may be, ‘How will I improve my logo?’ And that’s great. But if you think a rebrand is only about the logo, think again. In order to implement a successful rebrand that produces a nice return on that investment, companies need to remember that success is more than logo-deep. So, you have made the decision to give your brand a face-lift, well let’s talk about a few things to prioritize before embarking on this valuable venture. Simple, simpler, simplest: We all know that simple is better; but it is hard to really fizzle your brand down to its core on the first shot. 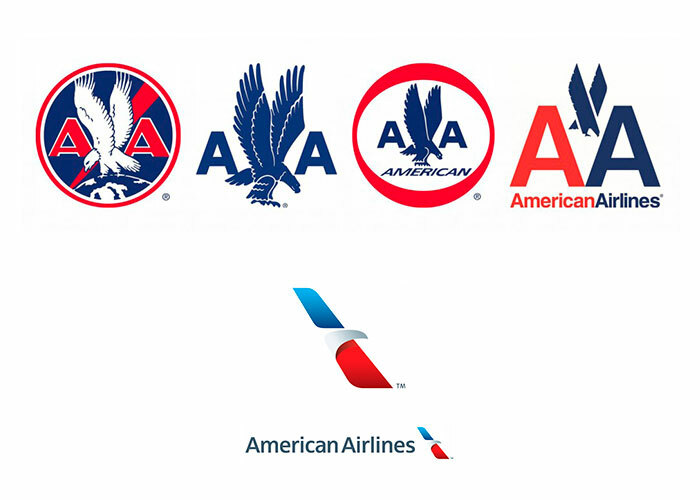 Look at the behemoth brands of Starbucks, Olive Garden, American Airlines… all have simplified their logos over the years, and made big changes in recent years. The important thing to take away here is you are not alone in this evolving pursuit to find that timeless depiction of your brand. What matters is an active pursuit that ultimate goal. While you are in this pursuit, keep in mind the various mediums on which you will be printing or displaying your logo. The versatility of a logo is just as important as the impression it gives. Nike has never had to go through a logo rebrand; they got that swoosh right the first time. But, the more specific underlying messages have changed along the way. In addition to simplifying your logo, your message should also be simple. Don't make your audience feel like they have to think through their options; you'll lose them. 69% of consumers are likely to recommend a product because it provides simpler experiences and communications. Additionally, 63% of consumers are willing to pay more for simpler experiences. This is the paradox of choice which is a topic for another day, stay tuned and we will get into that paradox one day. A good rule of thumb to follow when deciding if you have simplified your message is to let a 5-year-old reproduce it for you. If a 5-year-old can't draw your logo or explain your brand message, it may be too complicated. Consistent & Comprehensive Approach: Remember we said that a rebrand is not only logo-deep, and that pretty logo will only get you so far in your rebranding efforts. Maintaining visual consistency is a commitment that is just as vital to success as the product itself. Don't change your logo or message so drastically that it is unrecognizable. Don't reinvent the wheel, consistency makes a brand dependable, it manages perceptions, and connotes professionalism and purpose. You want to hold on to the trust of your audience above all else! Make sure that all your messaging is being controlled and adhering to the style guide you have created for your business. Making sure that your messaging, advertising, packaging, and even down to your signature block represents the brand you have worked so hard to build. The Power of the Human Element: Communicating, effectively to your target audience gets much easier if you remember that they are human, and they want to get to know your company on a human level. Think: The Most Interesting Man in the World (Dos Equis), or ‘The Man Your Man Could Smell Like’ Old Spice campaign. They represent some qualities that the consumer can relate to, and some qualities that the consumer wishes to obtain. Provide relevant and useful content. Have a conversation, not a monologue. If you are starting to think more critically about your brand than you are on the right track, it is the most powerful thing you own with the most unrestricted potential, do not underestimate the value of your brand. The ROI Discussion: Rebranding is a great idea in theory, but if you don't receive a return on that investment, what's the point, right? Well, sort of. When businesses attempt to quantify the return on a rebranding effort, they haven't been paying attention. Branding is about consumer experiences and perceptions.